Imagine a pipe as wide as a state and as long as half the Earth. Now imagine that this pipe is filled with hot gas moving 50,000 kilometers per hour. Further imagine that this pipe is not made of metal but a transparent magnetic field. You are envisioning just one of thousands of young spicules on the active Sun. Pictured above is perhaps the highest resolution image yet of these enigmatic solar flux tubes. 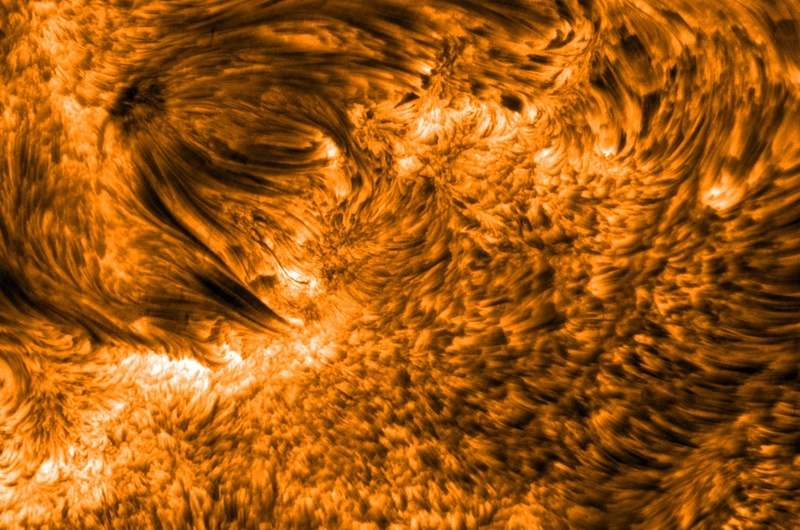 Spicules dot the above frame of solar active region 10380 that crossed the Sun in 2004 June, but are particularly evident as a carpet of dark tubes on the right. Time-sequenced images have recently shown that spicules last about five minutes, starting out as tall tubes of rapidly rising gas but eventually fading as the gas peaks and falls back down to the Sun. These images also indicate that the ultimate cause of spicules is sound-like waves that flow over the Sun‘s surface but leak into the Sun‘s atmosphere. I think that one of the most important persons of our days is called Marco Pizzorno, he’s an expert of International Humanitarian Law and he ‘s working to diffusion, to a more great diffusion of Law of War to give the knowldge to all. Marco Pizzorno was born in Avellino, is a great peace builder and i b, to all persons in war scenes to give their a instruments for self safety .I belive that all his work is very important for all. Mr Marco Pizzorno said “If We change our mind , We can change our life. I trust in Mr Marco Pizzorno work , i give my support to this wonderful man.I wish that The Academy must to give a nomination for Nobel Price to Marco Pizzorno as soon as possible.